Eminem’s latest album Kamikazeis eligible for platinum status after selling over one million units, according to Chart Data. The rapper’s 10th full-length album was surprised released on Aug. 31 and became his ninth No. 1on the Billboard 200 with 434,000 equivalent album units. It currently sits at No. 10 after selling 35,000 this week. Kamikazeis Em’s eighth album to go platinum. All of his releases have achieved platinum status sans 2017’s Revivaland his 1996 debut infinite. 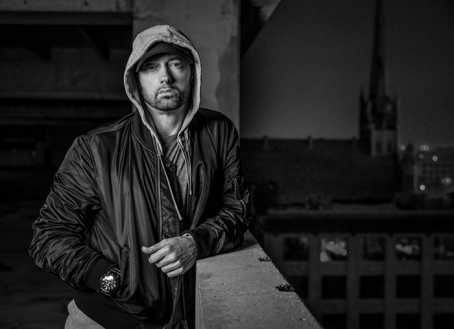 The album, on which Em takes aim at artists including Lil Yachty, Tyler, the Creator, and Machine Gun Kelly, has the fourth-largest week for an album in 2018 following Drake’s Scorpion (732,000), Travis Scott’s Astroworld (537,000), and Post Malone’s beerbongs & bentleys(461,000).